As a local cooperative, Flathead Electric Cooperative Inc. is operated solely for the benefit of our member/owners and it is our mission to provide affordable and reliable service. Accordingly, we are concerned about the recent complaint filed by a group of wind farm developers and investors against the Bonneville Power Administration (BPA) regarding its policy on over-generation. 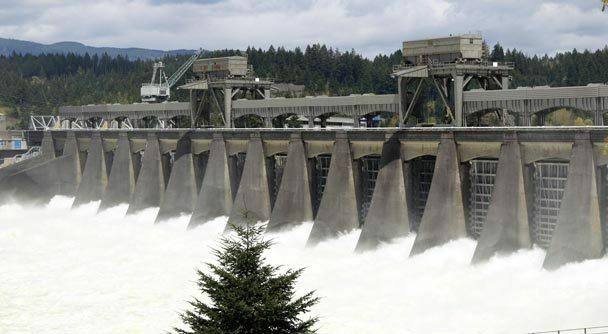 High water levels this spring have hydro-electric dams (Flathead Electric's primary power source) generating at capacity. Consequently, because power system loads and resources must constantly match, BPA officials were forced to curtail wind generation after curtailing all thermal generation, or risk overloading the vast transmission system and jeopardizing the reliable supply of electricity. Although BPA has taken great steps over the years to integrate wind in this region, and to avoid curtailment as much as possible, this was, according to BPA administrator Steve Wright, an unavoidable situation. It's also important to understand that BPA had forewarned northwest energy producers of this scenario months in advance. Why not just spill more water over the dams? Too much spill saturates the water with nitrogen gas, which would have been harmful to endangered salmon, not to mention a violation of the Clean Water Act. BPA and the utilities it serves (i.e. ratepayers) have, as mandated, invested billions of dollars trying to protect this species. Wind developers are federally subsidized with tax credits, and they are asking the BPA to pay for those credits temporarily lost during curtailment. This would amount to customers of public utilities, like Flathead Electric, paying private investors to stop producing electricity when it isn't needed. BPA already gives these producers free hydropower to compensate for power deliveries they give up when production is curbed. Scott Corwin, executive director of the Public Power Council, says the PPC also supports the approach taken by BPA, as the proper course of action in the interest of members and ratepayers. He says that to its credit, the BPA has successfully integrated more than 3,500 megawatts of wind power into its system, much of which is shipped to California. Corwin adds that BPA's policies have facilitated a large growth of wind projects in this region that have helped meet state targets for renewable energy (efforts are underway for clean hydropower to eventually be considered as renewable energy). The bottom line, however, Corwin says, is that there are times when there is simply more generation than there is demand to consume it. Flathead Electric feels shutting down excess generation was a necessary measure of last resort for BPA, to address a unique set of circumstances. And we sincerely hope the resolution of the wind developer's complaints doesn't entail our members footing the bill. Ken Sugden is the general manager of Flathead Electric Cooperative Inc.